Following the sale of the Switzerland-based imtmedical ag to the US company Vyaire Medical Inc., there will be no change in the location of the business or the personnel for the foreseeable future. The US company Vyaire Medical Inc. has signed an agreement to acquire the ventilator business and the imtmedical brand name. The second business unit, testing devices including test lungs, will remain in the possession of the previous Swiss ownership. For almost 20 years, Switzerland-based imtmedical ag has been developing and selling medical ventilators and biomedical test devices. Now the ventilator division and the brand name will be transferred to Vyaire Medical. “With this step, we want to help bellavista ventilators achieve the success they deserve. To reach this target, it requires a company like Vyaire, which already has strong distribution and financial structures worldwide,” says Jakob Däscher, one of the founders of imtmedical. The second business unit, biomedical test devices, will be handled under the new brand IMT Analytics. The company will continue to operate from its current location in Buchs, Switzerland, which also applies to imtmedical ag under Vyaire in the coming years. 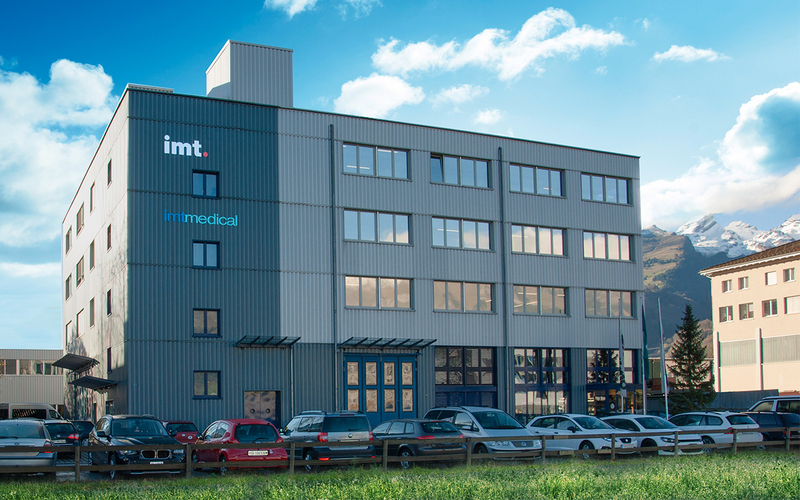 “In order to maintain the stable operation of imtmedical, there will be no adjustments to the site or personnel in the foreseeable future,” explains Harri Friberg, former CEO of imtmedical. At the beginning of May, discussions will be held with employees who will be integrated into Vyaire or who will switch to IMT Analytics. The sale of the ventilator business unit brings benefits to users of all products previously offered by imtmedical. It is now possible for IMT Analytics and its development partner IMT AG to concentrate more on the development and optimization of measuring instruments. In addition, IMT AG will be responsible for the development and lifetime maintenance of the ventilation products from Vyaire for the next few years. “For us, this contract is a windfall, which also reflects the high quality of our development services,” says Harri Friberg, managing director of IMT. In both business divisions, several devices are already in an advanced stage of development.